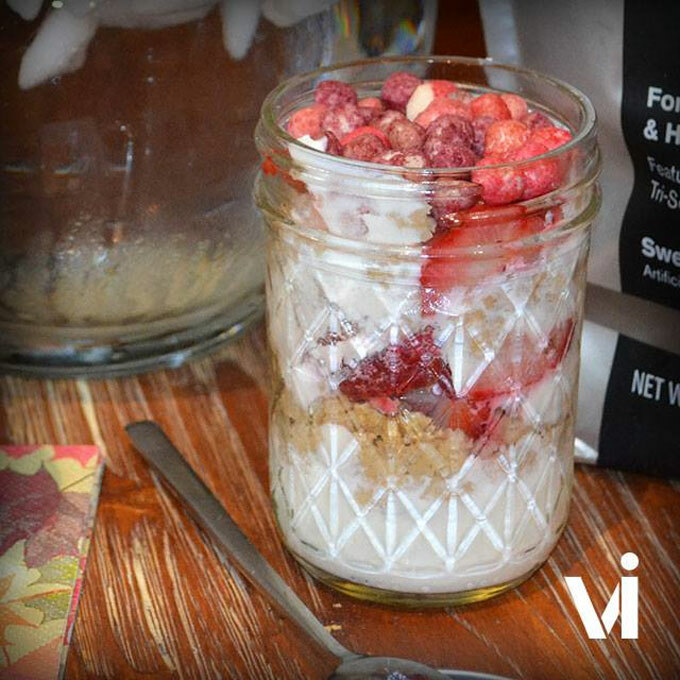 Not only is this picture-perfect ViSalus Tri-Berry Puffs Parfait delicious, it's also a refreshingly light way to start the morning! Scoop ¼ cup of fat free French Vanilla Yogurt into a cup and mix with two scoops of Vi Shape. Add in some fresh fruit, and handful of Vi Crunch. Top off with Tri-Berry Puffs! We hope you enjoy this Tri-Berry Parfait Recipe!